• Vehicle in motion—they must decide whether or not to stop the car. • Personal contact—they must decide whether or not to ask the driver to step out of the vehicle. • Pre-arrest screening—they must decide whether or not to arrest the person. The training sessions about pre-arrest screening center around the Standardized Field Sobriety Test (SFST). Dr. Marcelline Burns and other researchers at the Southern California Research Institute (SCRI) conducted research that helped develop this consistent approach to assessing a driver’s sobriety. LAPD traffic enforcement officers receive training in the proper way to administer these tests. During the walk and turn test, for example, the officer is supposed to have the driver stand on a line (real or imaginary) with one foot in front of the other. Then the officer should explain verbally to the driver how he/she should perform the test while demonstrating it at the same time. If the officer neglects to follow any part of the procedure in which they’ve been trained, the person charged with DUI might have grounds for contesting the arrest. Police trainees also learn the proper way to administer tests for blood alcohol content. If they’re going to rely on a blood test, for example, they must have a trained professional draw the blood; they must store the sample correctly; and they must be able to document that anyone who handles the blood has received the proper training. • They must observe the DUI suspect for at least 15 minutes before administering the test. • They must make sure that the driver has not eaten, drunk, smoked or vomited during that time. • They must request that the driver take a deep breath before blowing into the instrument. It’s also essential that they only use breathalyzers that have been calibrated and tested according to the state regulations for breathalyzer use. If they forget their training—you may be able to forget your DUI. Although law enforcement officers can usually detect cases of alcohol-involved DUI with the SFST, that’s not the case when the driver has ingested drugs. To prepare officers for this contingency, the LAPD has developed a Drug Recognition Expert (DRE) training program. 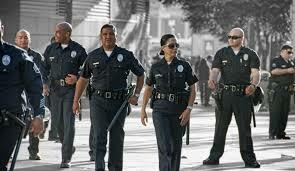 DRE is an elite program, and LAPD officers must apply to participate in it. The DRE program teaches the officers to use a standardized twelve-step evaluation procedure to determine whether someone is under the influence of drugs and if so, what drugs that person has taken. “Importantly, the DRE procedure enables the DRE to rule in (or out) many medical conditions, such as illness or injury, that may be contributing to the impairment,” according the LAPD site. Officers who want who want to become DREs must go through the SFST training and then attend a special DRE school. Over the course of seven long days, the curriculum covers 31 separate training segments, including the physiology of drug abuse, vital signs examinations, eye examinations, courtroom testimony and in-depth coverage of each of the seven categories of drugs. After passing the school, the DRE candidates must go through an extensive internship period in which they have to develop and prove their competency in evaluating suspects. (LAPD requires them to conduct 15 full drug evaluations.) They also must submit the bloodwork of at least nine of these suspects to check the validity of their evaluations. Before they can receive their DRE certification, however, officers must also take a comprehensive test and gain the endorsement of two DRE instructors. And even when officers get that DRE certification, their training isn’t over; the DRE must also take eight hours of continuing education every two years. When LAPD officers suspect that someone is driving under the influence of a drug other than alcohol, they will call in a DRE to determine if there is indeed a drug-related problem that could have influenced the erratic driving behavior. Police officers, including the elite DREs, must exercise their judgment when it comes to making a DUI arrest. But their training gives them specific standards and procedures that they should follow when making that determination. If they cannot show that they have abided by those standards, your arrest for DUI may not be valid. For example, police learn during their training that they must have probable cause to pull you over if they suspect you are DUI. They may see you crossing the center line, swerving in and out of traffic, running a traffic light, etc. But some officers, despite their training, may exaggerate what they saw to make a traffic stop appear more valid. Fortunately, these days, many police vehicles have dash cams in their cars, so you can request that footage to determine if the officers actually saw what they reported seeing. The same thing goes for the field sobriety tests. No matter how good their training, some officers may take shortcuts when administering the tests or may simply ignore guidelines. If you believe that happened in your case, your attorney can request the dash cam (or perhaps body cam) footage to determine, objectively, what really happened. Officers learn the proper ways to administer breathalyzer tests, blood tests and urine tests… but that doesn’t mean that they always follow those procedures. Any departure from the proper methodology could impact the results of your test and potentially lead to problems such as false positives. Bottom line: if you’re pulled over for a DUI, pay close attention to everything that the police officers do as they question you. A qualified DUI defense lawyer can help you determine whether or not the officers followed their training when making your DUI arrest.